If you are looking for a landscaper in Perth then look no further than Greenprint Landscapes. At Greenprint we are able to offer a full range of services from general maintenance to full garden design and construction – not to mention everything in between. Our goal is to create outdoor areas that you can be proud of regardless of it being on a commercial or residential scale. 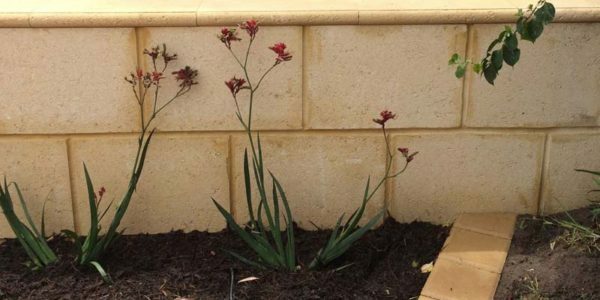 As we are landscape designers in Perth as well as landscape gardeners we are able to offer a complete service. We aim to make the whole landscaping process as easy and enjoyable as possible for you. We have a strong desire for attention to detail, we won’t take short cuts, and we use high quality supplies to make sure the work we do for you is of the highest standard. We also enjoy listening to and talking with our clients to find out what their goals and objectives are as well as what their ambitions are for their garden. We work with the space that you have got to create something that blends beautifully with the rest of your property. We try to gain a real feel for what the main purpose of your outdoor area is. Is it a place to enjoy parties and barbeques, a place of tranquillity and relaxation or perhaps it is combination of several different things? Regardless, we will create the perfect area for you. Whether you are looking to freshen up your existing outdoor space, have just finished building and need everything done, or those projects you haven’t quite got around to completing, Greenprint Landscapes would love to help you improve your property. Perhaps you are looking for some help and inspiration as you don’t know exactly what you are looking for – don’t worry we can help! We understand that time is precious, especially in today’s modern world so you don’t want to waste time taking care of your outdoor space – just enjoy it! 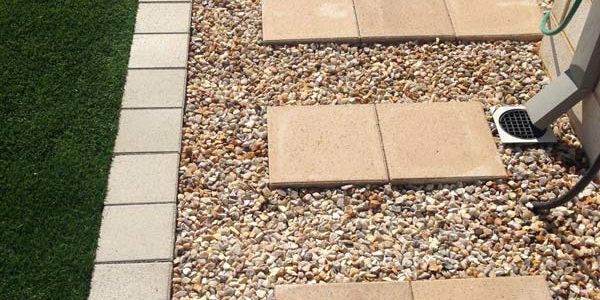 We offer a variety of options available to create a low maintenance environment that is both practical and aesthetically pleasing. As one of the most respected landscape gardening companies in Perth we know that you will be more than satisfied with the results. A quality, landscaped garden is something that is born and nurtured, and not something that happens overnight. We pride ourselves on our designs and our ability to make efficient use of the complete area. Our years of experience help us to be able to offer solutions that others perhaps wouldn’t think of meaning that you will have a garden that is unique and the envy of your neighbours and friends. This has become something of a passion and that can be seen in our work and the results that we achieve. Below is a list of our key landscaping services; however please have a chat to us about any other landscaping services you are looking for, we would be more than happy to assist. We are acutely aware of Perth’s water crisis and the hot climate that we do live in. 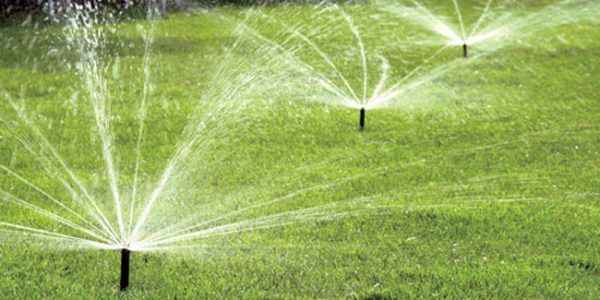 These days, the big question is how to reduce water usage, therefore many people are choosing no-maintenance, water-free or water efficient gardens. Please contact us for some ideas of what we could do for you. Whether it is re-paving an existing area, extending an existing paved area, or starting from scratch, we can pave any area, big or small. It is hard to define reticulation and even harder to describe it in a manner than works. In Laymen’s terms and to keep things simple, it is basically an automatic watering system. 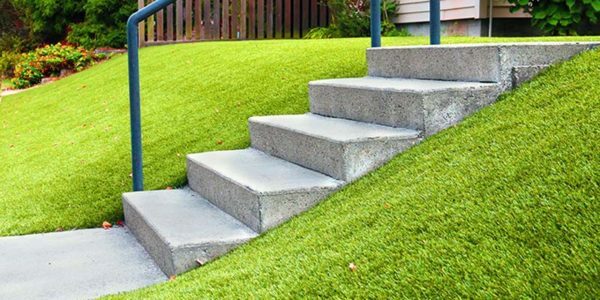 Keeping natural turf can be difficult in Perth’s harsh climate. The lack of rain and temperatures see more and more people turning to artificial turf in Perth. Artificial turf is a surface of synthetic fibers made to look like natural grass. It is now the growing trend for residential and commercial lawns. We work with a range of plants and trees, both native and imported, from young mature. We can discuss with you the best options for your landscaped gardens or courtyard within your budget. Proper mulching is essential to your new garden’s success. It gives new plants the best start to life, and helps keep in the moisture for as long as possible. Mulching garden beds also plays an aesthetic role, giving a nice clean finish to your green space. 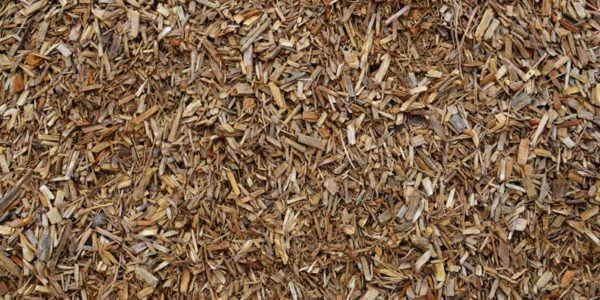 We work with a variety of mulches and can help you select one for your garden. Contact us today to get more tips on mulching a garden or other general mulching tips. 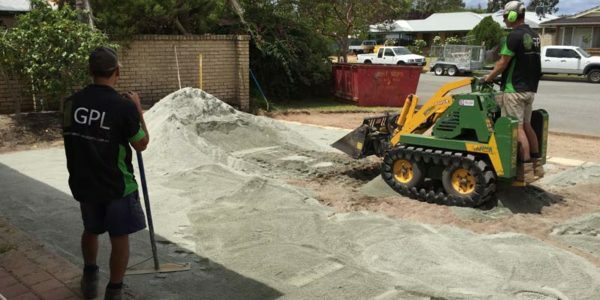 At GreenPrint Landscapes with have one of the vital tools of the job that not many other landscapers in Perth have – a mini loader. 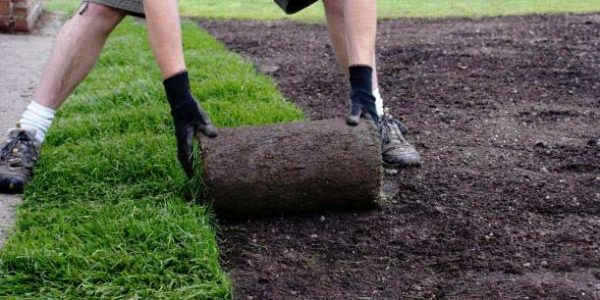 Edging you lawn provides not only decorative detail to your landscaped gardens, it also deters grass and weeds from encroaching on the beds of your gardens. 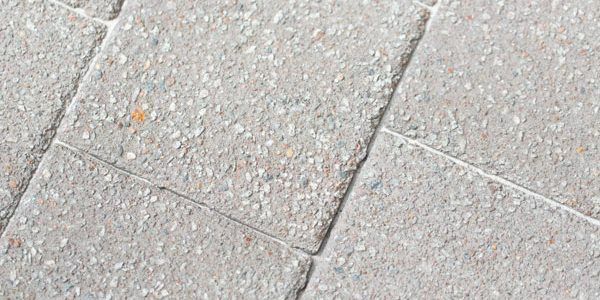 We supply a range of edging options, using paving, steel or plastic edging materials. Limestone blocks are great products to use for a number of different purposes. 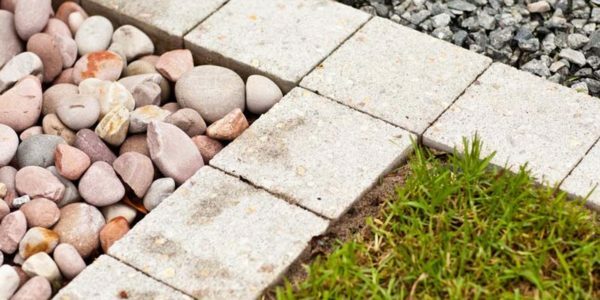 They are great for dividing spaces, building raised garden beds and adding that clean look to your newly landscaped space. Contact us to discuss your ideas!